Mobile workstations on wheels and stands for monitors. Medical height adjustable roll standThe Eco-Stand is a strong and sturdy medical roll stand that c..
Medical Height Adjustable Cart with Dual Battery SolutionThe Geni-Cart is a light and versatile medi.. 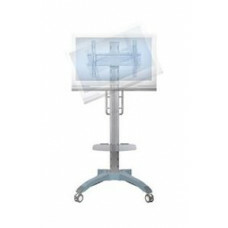 Height Adjustable Medi-Stand 3 Braking Wheels 600 mm Base Single Display MountThe Medi-Stand range o..
Medical Height Adjustable Cart & WorkstationThe MIT-Cart (Adjustable Height) is a light and flex.. Rescue Medical CartsDETECTO’s Rescue series medical carts come in multiple color options (red, blue,.. Whisper Medical CartsDETECTO’s Whisper series medical carts come in multiple color options (red, b..
Medical Laptop Cart Allowing the clinicians to take care the patient at the point of care.Height adj.. 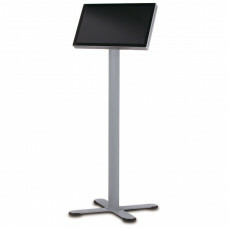 Mobile Computing Cart with Single Monitor Arm Accommodates flexible configurations: Laptop, PC and m.. 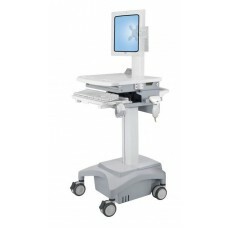 Mobile Computing Cart with Dual-Monitor Arm Allowing the clinicians to take care the patient at the ..
Medical Laptop Cart with batteryAllowing the clinicians to take care the patient at the point of car.. 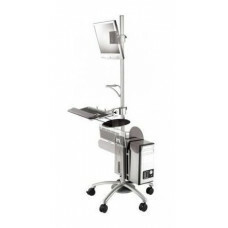 Mobile Computing Cart with Single Monitor Arm and batteryAccommodates flexible configurations: Lapto.. 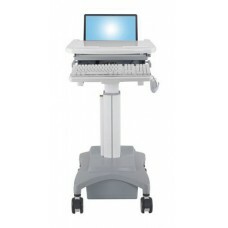 Mobile Computing Cart with Dual-Monitor Arm and BatteryAllowing the clinicians to take care the pati.. Mobile Computing Workstation Cart.Accommodates sitting & standing users and matches different us..
Ultra Mobile TV CartKeeps cables concealed under plastic covers along the pillar.Mounting the TV in ..